Use the form below to contact accommodation Princess Haleema directly. 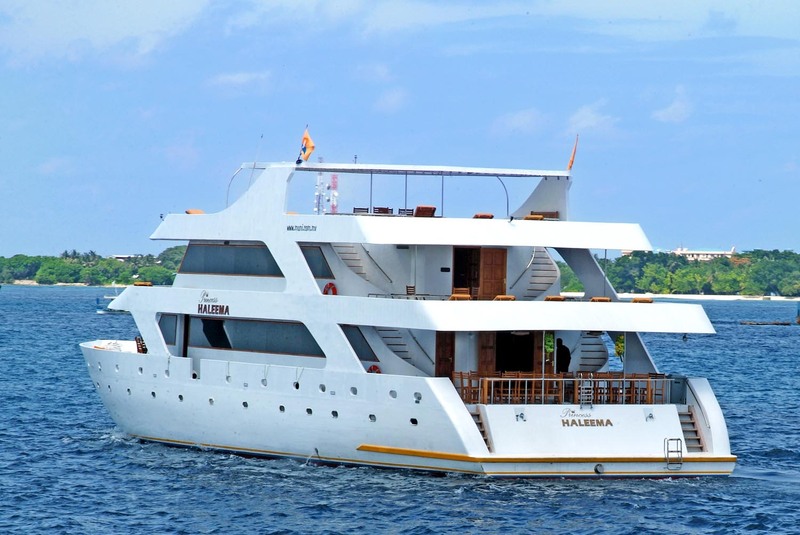 Princess Haleema is one the most luxury or the most luxury cruiser in Maldives. With rooms compare to non. Princess Haleema has been designed with most modern features and the yatch is equipped with the modern amenities for acceptional service. Alfresco and all cabins are fully air-conditioned with it’s own individual control and ensuite with latest new designed fixtures running hot and cold water throughout the trip. 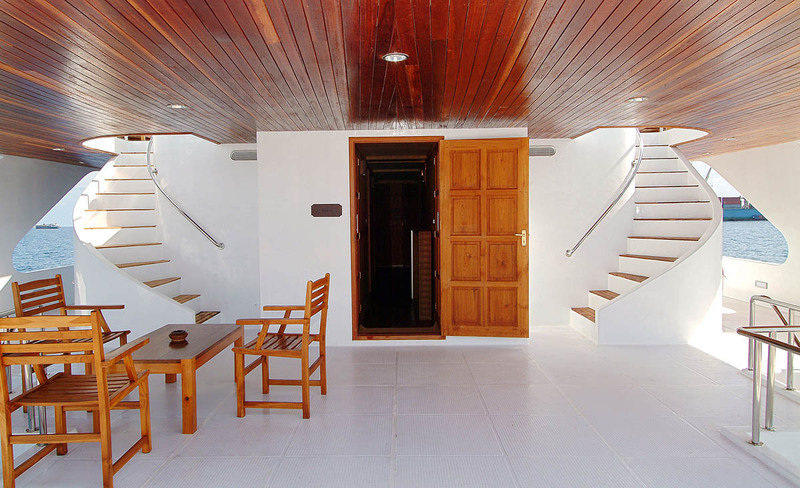 n addition, Princess Haleema have modern spa facilitie for rrelaxtion, & Sauna, Steam shower. Get the comfort that you ever wanted in a cruise. Each honeymoon suite has king size bed. You have clear view from your room through the glass window to see both the sunrise and the sunset and also to see the endless indian ocean. Your room is attached with a large barth room with whirpool bathtub, hot & cold water shower, sweet water. Mini bar, private plasma TV with DVD player, private music system. Those who booked Honeymoon suites will get unlimited Sauna, Steam service, and Jacuzzi service, and each couple will get Free fruit basket and a bottle of wine. Dining: Dining is well served on princess Haleema. All your meals are cooked by a well trained cheffs with international buffet style. 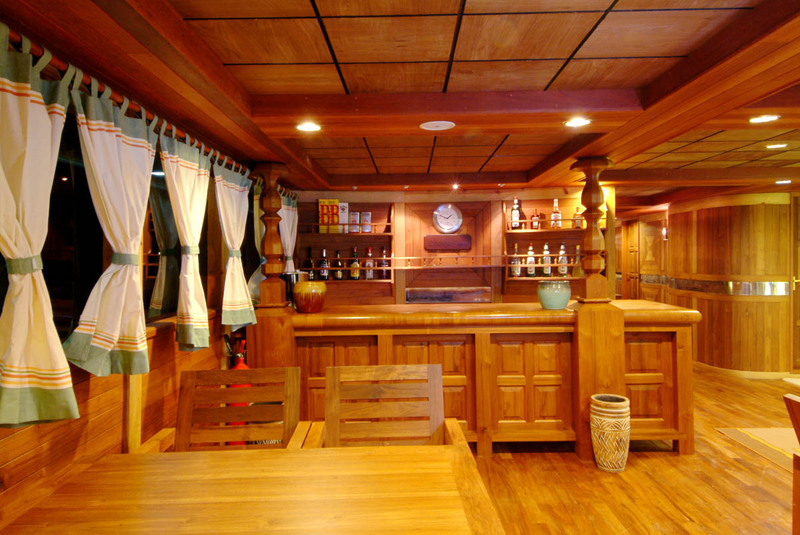 There is a well stocked bar with a expreinced barmen to serve you drinks. The boat is equiped with non alocholic and alocholic drinks. 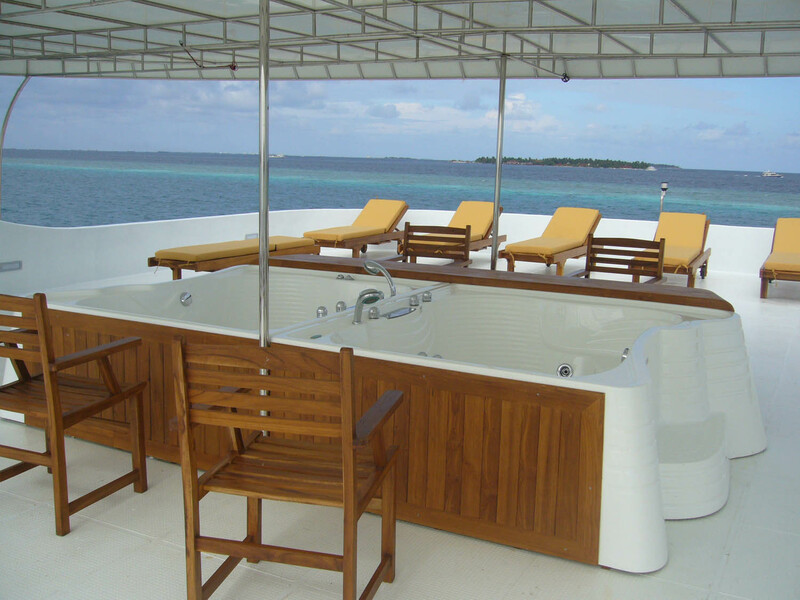 Just have a drink on the sun deck and see the endless ocean. Pets are not allowed in the boat.